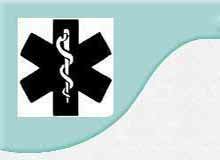 Since 2003, Medical Alert Wallets has a variety of quality wallets with a Medical symbol outside at low bargain prices. Each Medical Wallet has a Medical Information Card, you fill out. Medical Alert Wallets are for all people of all ages who have medical conditions, take medications or allergic to something. Feel Safe with a 'Medical Alert Wallet' on you. In an emergency, a Medical Responder will need to get your name and address for paperwork and other safety reasons. When you pull out your Medical Alert Wallet they will see the Medical symbol, notifying them you have special medical needs. If you are unconscious, they will still need your information, this is when they will see the Medical symbol alerting them you have special needs. Then with the information you have printed on the Medical Emergency Information Wallet Card they can diagnose you and treat you on the spot (if possible) resulting in saving time, money and resources. Medical Alert Wallets are great for people who don't like to wear medical bracelets, ID tags, jewelry or necklaces. Without 'Medical Alert Wallets' these people would not wear any warning at all. Medical Alert Wallets is a way for you to have a Medical symbol on you, along with the Medical Emergency Information Wallet Card, that you fill out with your emergency contacts, your current medical conditions, medications, allergies and more. Even if you already wear a medical bracelet, ID tag, jewelry or necklace, Medical Alert Wallets gives you an extra feeling of Safety and Security knowing your Medical Wallet can help the paramedics, EMT's and first responders, help you. Give the gift of safety and security! Medical Alert Wallets uses PayPal secure online payment process, more info. Thank you for visiting and bookmarking us! "Feel Safe and Secure with a Medical Wallets"
Medical Alert Wallets values your privacy!